We're doing a series of holiday giveaways ahead of Christmas, and for today's giveaway, we've teamed up with Flexibits to offer MacRumors readers a chance to win a copy of Fantastical 2 for Mac. 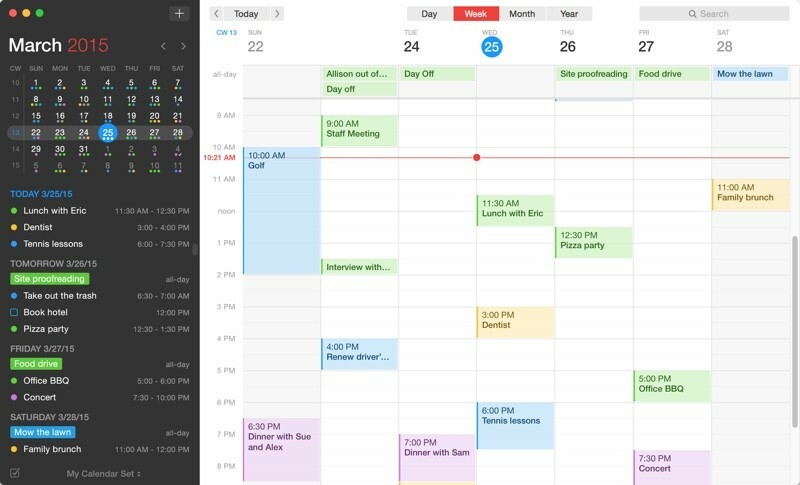 Fantastical is one of the most popular calendar apps in the Mac App Store, with a clean, easy-to-use layout and the ability to use natural language like "lunch with Eric at 2:00 p.m. on Thursday" to create calendar events and reminders. There's a full Mac app and a menu bar widget that makes it easy to see what you've got going on at a glance, and it works with all kinds of calendar accounts: iCloud, Google, Microsoft Exchange, Yahoo, and any other CalDav account. It features a Notification Center widget, Handoff support, Action and Share Extensions, and it was recently updated with Touch Bar support for the new MacBook Pro. Fantastical 2 for Mac syncs with Fantastical 2 for the iPhone and the iPad, so your calendar is always at your fingertips no matter what device you're using. Other Fantastical 2 features include time zone support, geofence alerts, built-in maps, Google and Exchange integration, multiple themes, calendar sets for organizing work and personal calendars, support for multiple languages, and more. Fantastical 2 for Mac normally costs $50, but 25 MacRumors readers will get a copy for free. To enter to win, use the Rafflecopter widget below and enter an email address. Email addresses will be used solely for contact purposes to reach the winner and send the prize. You can earn additional entries by subscribing to our weekly newsletter, subscribing to our YouTube channel, following us on Twitter, or visiting the MacRumors Facebook page. a Rafflecopter giveawayThe contest will run from today (December 22) at 8:00 a.m. Pacific Time through 8:00 a.m. Pacific Time on December 29. The winners will be chosen randomly on December 29 and will be contacted by email. The winners will have 48 hours to respond and provide a shipping address before new winners are chosen. But it's insanely expensive. 50 bucks for a calender app is just way too much. Besides that it appears to be a good app. This app is the bee's knees!